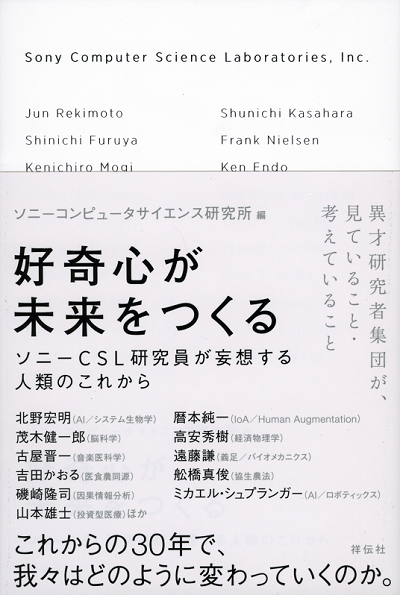 『好奇心が未来をつくる』刊行記念セミナー 追加開催 | | Sony Computer Science Laboratories, Inc.
Sony CSL's new book launch event will be held on the evening of May 21st at Aoyama Book Center in Omotesando. Jun Rekimoto, Natalia Polouliakh, Shunichi Kasahara will be there to hold a discussion session on the topics of creativity, curiosity, and research. The session will be in Japanese. Please sign up for an adimission from the link below.